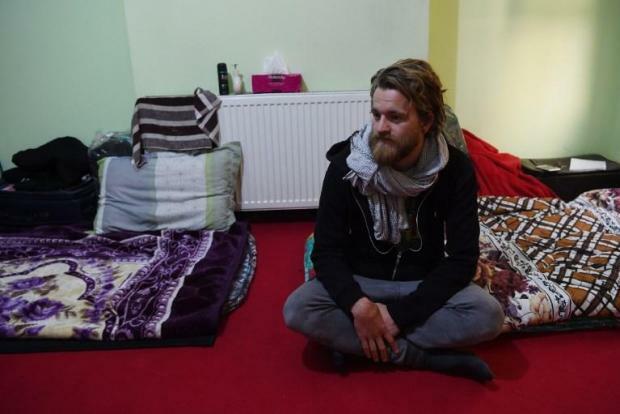 In this photo taken on November 11, Norwegian tourist Jorn Bjorn Augestad, 29, looks on as he talking with Afghan Couchsurfing host Naser Majidi (unseen), 27, at a house in Kabul. Seeking an "authentic" experience as he backpacked through war-torn Afghanistan, Dutch tourist Ciaran Barr searched the Couchsurfing website for locals to stay with. He found an astonishing number of potential hosts. The pair met through a local travel agent, who found them a taxi driver to take them more than 400 kilometres to the Afghan capital.